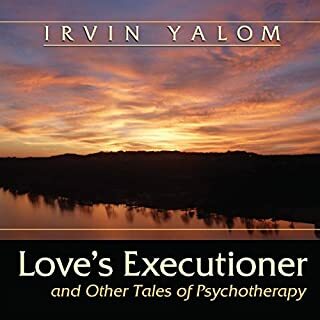 Psychotherapist Irvin D. Yalom probes further into the mysteries of the therapeutic encounter in this entertaining and thoughtful follow-up to his best-selling Love's Executioner. 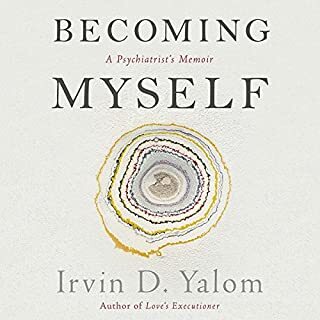 In six enthralling stories drawn from his own clinical experience, Irvin D. Yalom once again proves himself an intrepid explorer of the human psyche as he guides his patients - and himself - toward transformation. 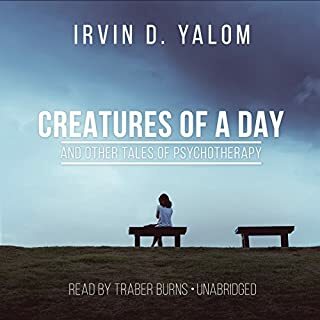 With eloquent detail and sharp-eyed observation, Yalom introduces us to a memorable cast of characters. Drifting through his dreams and trampling through his thoughts are Paula, Yalom's "courtesan of death"; Myrna, whose eavesdropping gives new meaning to patient confidentiality; Magnolia, into whose ample lap Yalom longs to pour his own sorrows, even as he strives to ease hers; and Momma - ill tempered, overpowering, and suffocating her son with both love and disapproval. 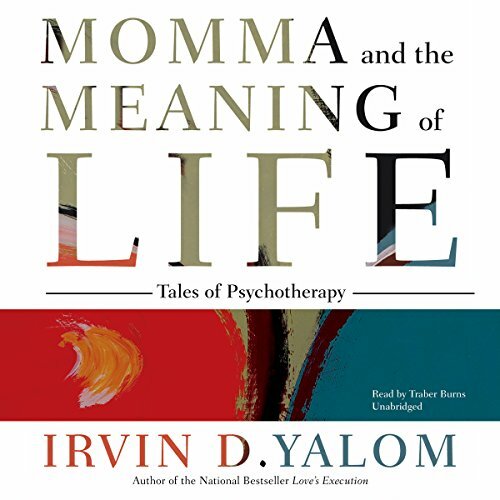 A richly rewarding, almost illicit glimpse into the therapist's heart and mind, Momma and the Meaning of Life illuminates the unique potential of every human relationship. 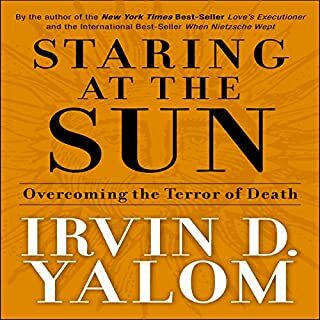 ©2015 Irving D. Yalom (P)2016 Blackstone Audio, Inc. This book was beautifully written. The narrator was perfect for this book as well. Now onto "Becoming Myself". great storytelling. learn about humanity, psychology, families, development, healing, psychotherapy. all through the experience and imagination of one of the world's great psychiatrists. this made my commute fly so quick. Just like his other works, this is both entertaining and educational!! dream terapeutic interventions and Lots off good essential paradoxes to think about, far in the future. the narrotator is great and i'll never get borred. I really enjoyed the first few stories of this book. 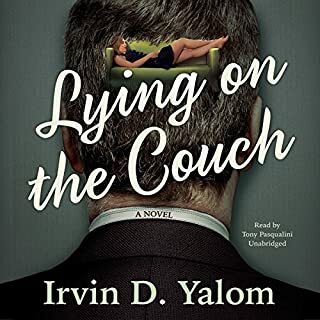 However, I felt that it quickly degraded into a series of extremely flat, caricatured and fantasy stories, written in the third person, instead of from the usual vantage point of Yalom himself. I felt the narration to be slightly off key in parts especially where the reader mimics the female voice. At this point, it felt as though he were mocking the characters - probably not what was intended. The book, while sublime in parts, landed up giving me a rather tacky, lacklustre finish. This audio is riveting. I felt that the beginning was slightly slow and I found it difficult to engage with- but it got better and better the more I listened to it. Not only did I find it interesting but I also found it educational especially since I am a trainee psychologist. I found the indirect and direct teaching Superb. I am looking forward to listening to his next story. A fascinating mix of factual and fictional studies. I could not stop listening to this, in the car, in the kitchen, in the bath! 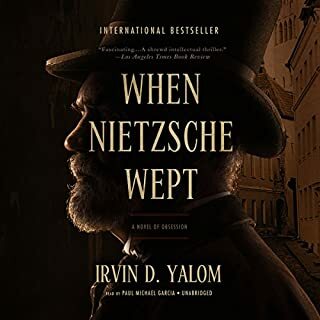 Another insightful work from Yalom. So many lessons to learn from this man. Read beautifully.